It's a tiny, underwater zebra! Shaped like a crab! Zebra Crabs are three species in the informatively named genus, Zebrida. 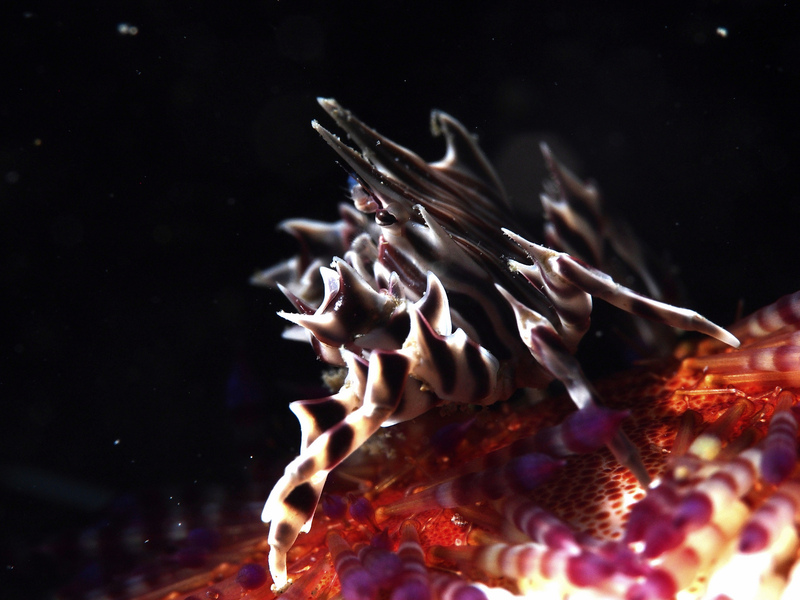 By far the most widespread of them is Z. adamsii, which can be found from Japan to Australia. 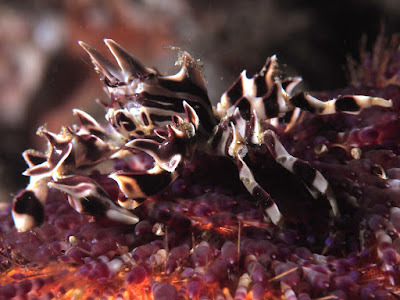 The other two, Z. brevicarinata and Z. longispina, come from Western Australia. 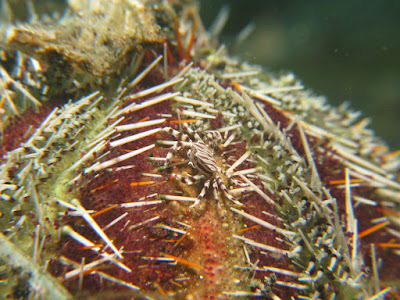 And live on sea urchins who are even spikier than they are. 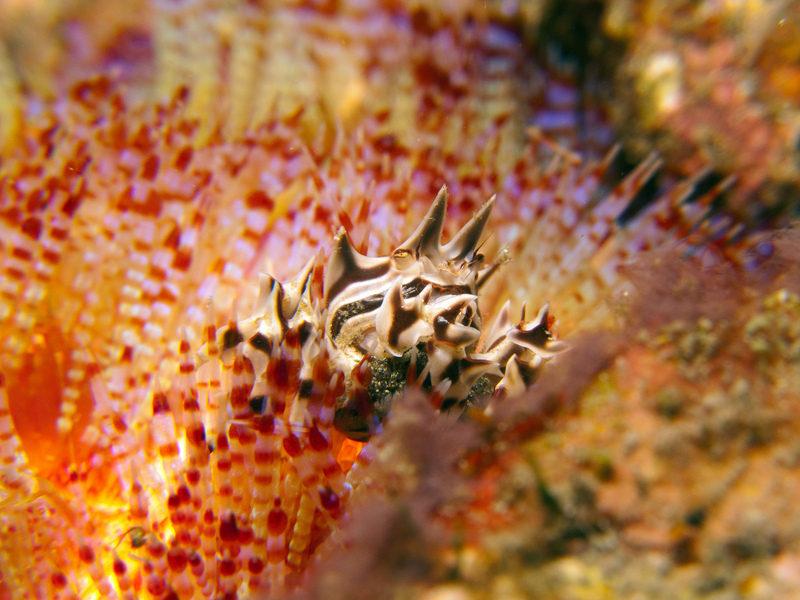 Zebra Crabs seem sort of jealous about that, so they eat sea urchin spines! 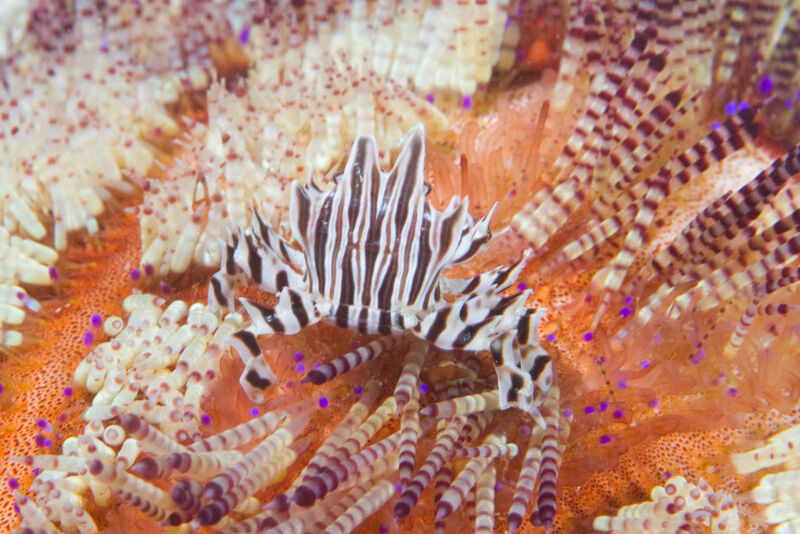 It seems like a great deal for the Zebra Crab, getting carried around by a living larder that also happens to be extremely intimidating to predators. No-one wants to eat a big ball of toothpicks, after all. Except Zebra Crabs, I guess. Hopefully they can do it slowly enough to avoid destroying their own ride. Also, they simply look fantastic! In a sinister, devilish sort of way. Standing there with their horns and thorns, atop a gruesomely-coloured, living landscape of spines. 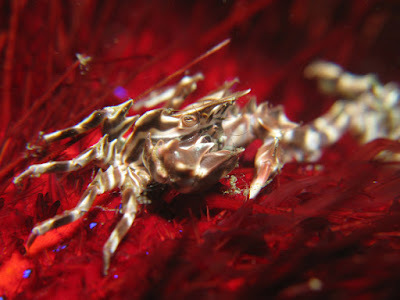 Maybe zebras should take a few ideas from their crabby counterparts. Lions might think twice if their prey were wearing spiny armour and rolled over the Serengeti on mighty, spiky spheres.